The Chevrolet Tahoe is a full size luxury SUV crafted for those who have a sweet tooth for comfort. 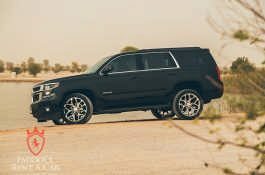 The car factors in style, performance, technology and art. 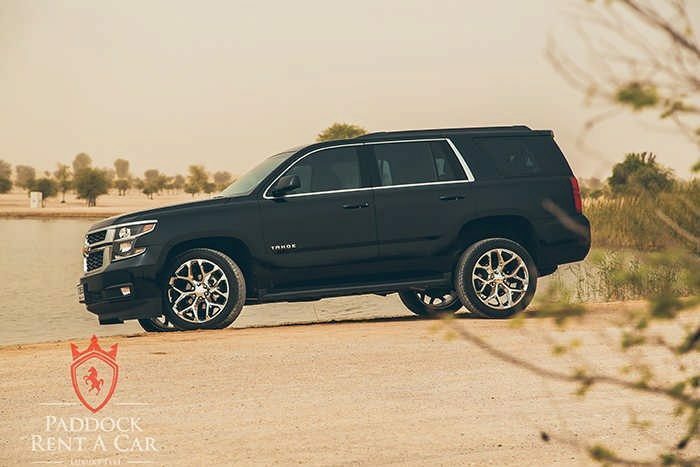 The result is a car that commands attention and one you will love driving. 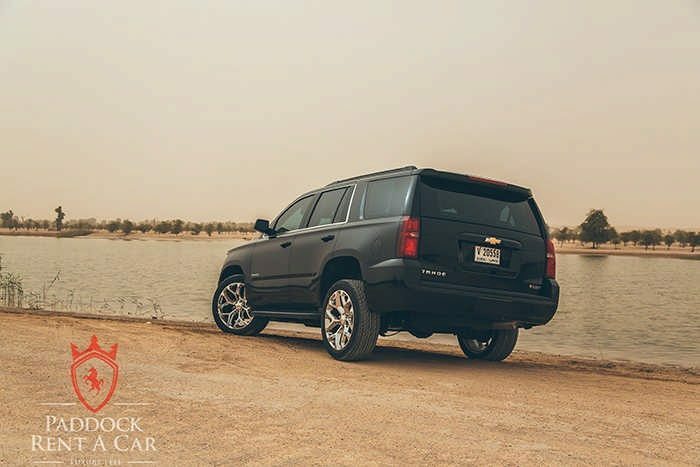 The exterior of the Tahoe has been sculptured in an athletic fashion while the cabin has been made spacious, quiet, luxurious and tech savvy. 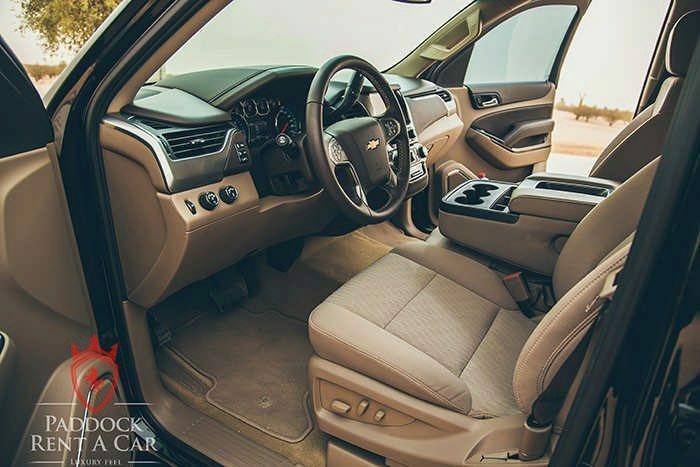 The interior has a super soft leather finish, a plethora of connectivity and infotainment options not to mention an acoustic-laminated windshield and inlaid doors with triple seals to give the occupants a sanctuary experience. 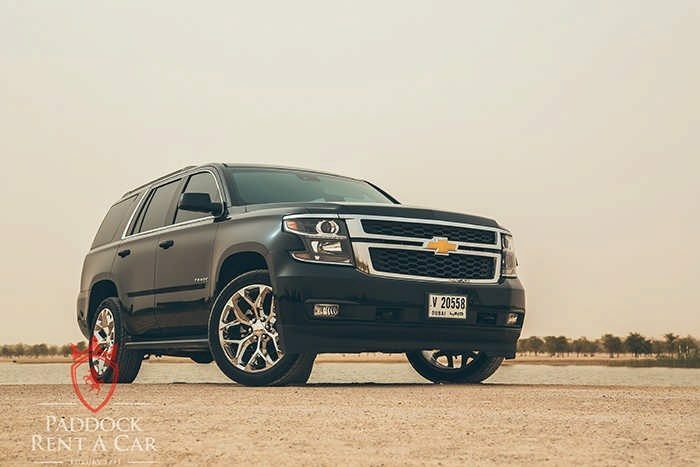 Powering this magnificent car is a well-engineered V8 engine that exudes power and experience. Along with a couple of innovations, you can rest assured that you can drive through virtually every type of terrain. 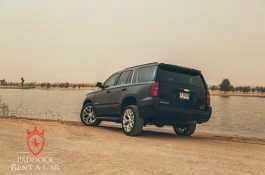 It is also worth noting that Tahoe goes full swing on safety with a number of features designed to help you stay safe on the road. 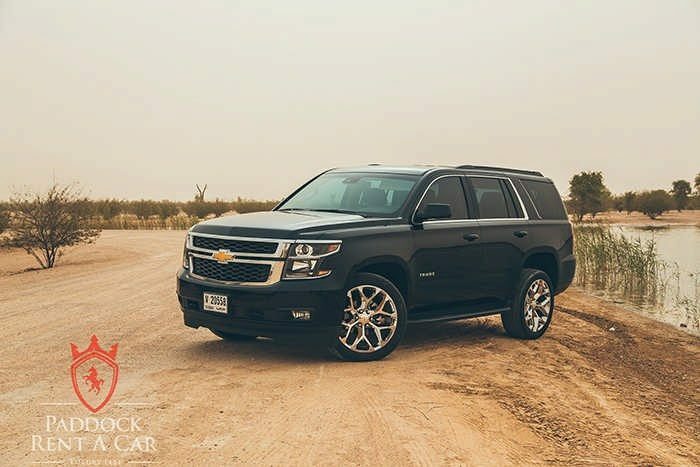 The Chevrolet Tahoe is a nice option for family trips, events, and business functions. For starters, it has the cabin and cargo space to tag along with family, friends and even pets. 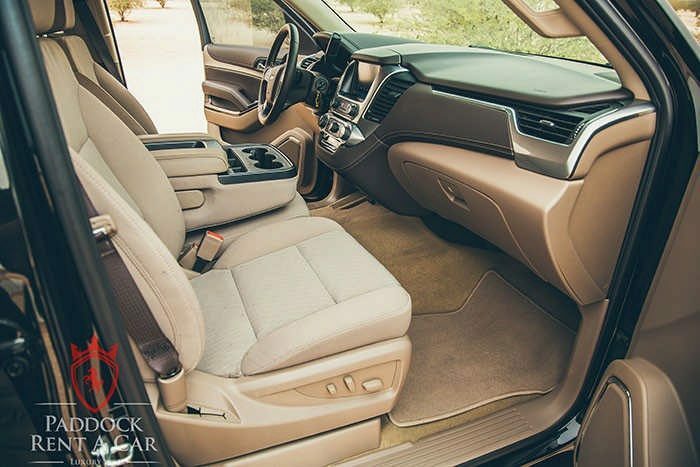 It also has the luxurious looks befitting of business class transit. 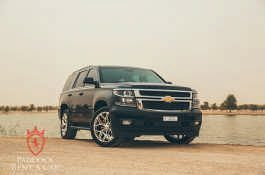 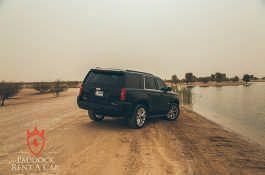 The Chevrolet Tahoe is also the type of car you can take out on a business or fun trip in Dubai and get to enjoy the beauty of the magical city. 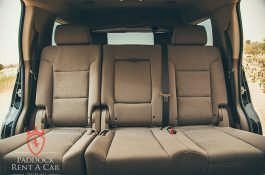 You can also use it for business to show some class when it comes to striking deals. 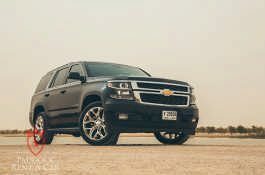 Regardless, you can always rent a Chevrolet Tahoe from us! 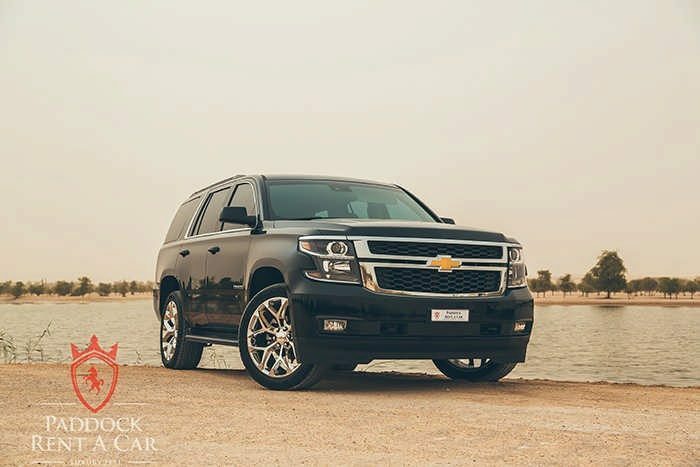 Paddock Rent a Car is a car hire service in Dubai with a collection of luxury cars including a Chevrolet Tahoe for rent. 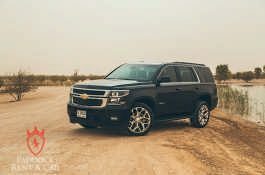 We own all our vehicles, that’s why our Chevrolet Tahoe rental in Dubai is low priced compared to other rates in the market. 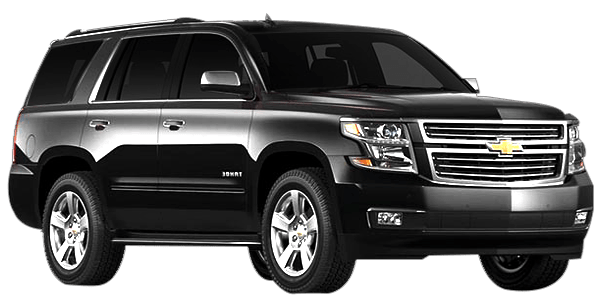 Don’t take our word for it though. 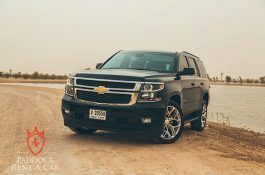 Rent a Chevrolet Tahoe from us, test drive our services and get to make the judgements yourself!